How is the PPN organised? Thinking of voting in the General Election – Well….are you sure you CAN???? If you’re not registered, you can’t vote. So do you know if you’re on the Register? The Live Register is published on February 1st each year and comes into force on February 15th. It is used at each election and referendum held in the following 12 months. Being on the Live Register does not automatically entitle a person to vote in ALL elections. To check which elections you can vote in please check your Election Type on your personal details screen. For inclusion in the Register of Electors you must complete a RFA1_Application_Form. You can check if you are registered to vote, and that your contact details are correct, through the online Check the Register service. Printed copies of the Live Register are available to be viewed at local authority offices, Post Offices, Garda stations and libraries. If you find you’re not on the Register, it’s not too late to correct this before the General Election. You need to apply for inclusion in the Supplementary Register. The Supplementary Register is generated after an election/referendum has been announced. This allows for people who may be entitled to be included on the Register to apply for inclusion up to 14 days before Polling Day. The Supplementary Register would typically consist of electors who will be 18 years old by the date of the election/referendum or electors who have changed address since the last Live Register was published. Persons who are not registered to vote must complete the RFA2 Application Form. Persons who are applying for a change of address must apply on the RFA3 Application Form. Step into our Parlour…….for a little Chat. Come in and pull up a chair beside the fire in the parlour. Have a cup of tea. Help yourself to a bun. 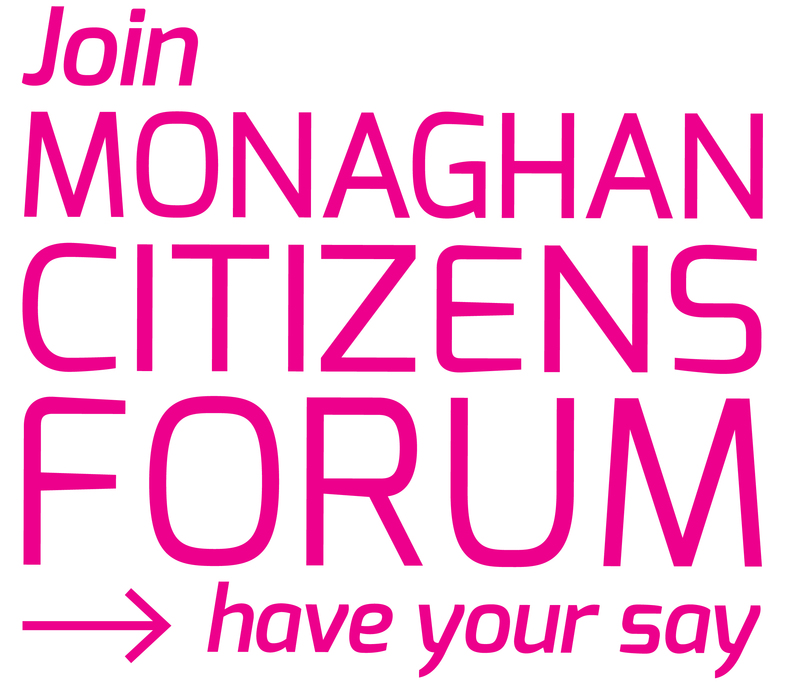 And tell us what you think of Co. Monaghan, the services, and what can be done to make life better for us all………. A lively debate is guaranteed, and your thoughts will help to direct our work in the months ahead. Enter your email address to follow this website. You will receive notifications of new posts by email. Not in a Group but still want to be get involved in local decision-making?